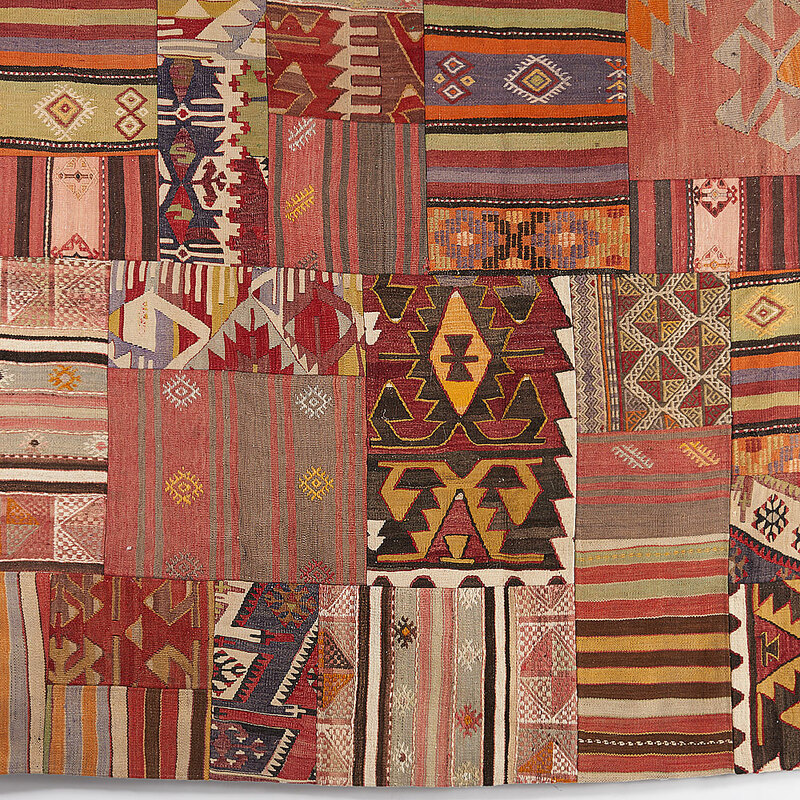 The patchwork you see was created with fragments of a kilim carpet that was either too damaged to have it restored or it was more expensive to do it than to leave it as it was. In the trade of carpets there are many such pieces that arrive everyday to the dealers from central Anatolia in Turkey and areas were weaving is an ancestral occupation. It is an interesting way of recycling and giving a new life to what was deemed to be worthless. The result is a fantastic display of color and designs were the textures are different. This contributes to the interest of the piece and to give a conventional area of the house a whole new meaning and look. These kind of carpets can be made in any size. They come with a layer of anti skid material underneath to prevent tripping or having the different section come undue.